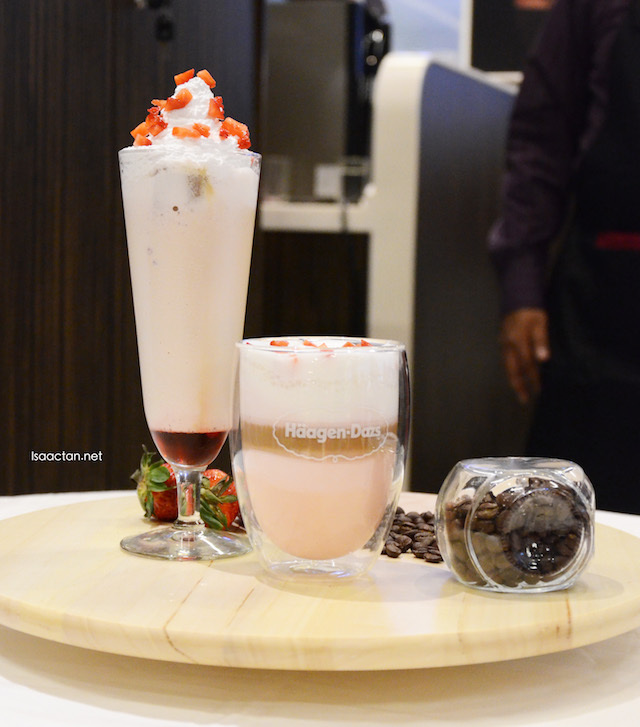 Haagen Dazs has come up with brand new premium flavoured lattes, a refreshing addition to their ice cream menu. I was at the launch last week, having a great time going through all six iconic Haagen Dazs ice cream flavours paired with illy coffee. This pairing would definately pull in the crowd of coffee and ice cream lovers alike, and are available at all Haagen Dazs outlets. Check them out below. 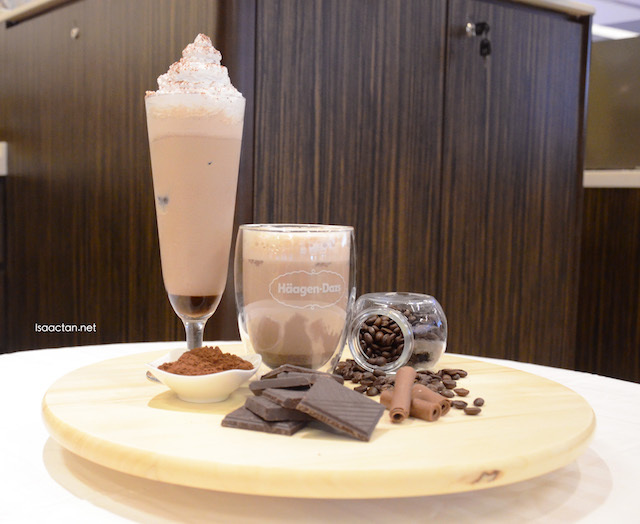 Available at all 18 Häagen-Dazs outlets, this pairing will simply delight the coffee and ice cream lovers with the true taste of craftsmanship, which retails at RM14 (hot) and RM14.50 (iced) per cup. The six iconic Haagen Dazs flavours include Macademia Nut, Green Tea, Vanilla & Cream, Strawberry, Cookies & Vanilla Cream and Chocolate. This illy coffee delivers the true taste of craftsmanship, given both brands’ dedication to uncompromising quality. Häagen-Dazs sources only superior quality ingredients from across the globe and crafts them into the best ice cream possible, creating a distinctive and indulgent taste experience like no other. Whether it is macadamia nuts harvested from Hawaii, chocolate from Belgium, vanilla from Madagascar or milk and cream from France, it is this commitment to quality that is the hallmark of Häagen-Dazs. Similarly, the Italian-based illy® has been delighting coffee lovers worldwide with its rich and full-bodied, yet velvety smooth coffee for over 80 years. Its signature blend carries a distinctive taste and aroma, crafted through a careful selection of nine variants of Arabica beans that are sourced from across four continents. My all time favourite nut, the Macademia Nut has a flavour unsurpassed by any others, and to have it in my latte by Haagen Dazs is really nice. 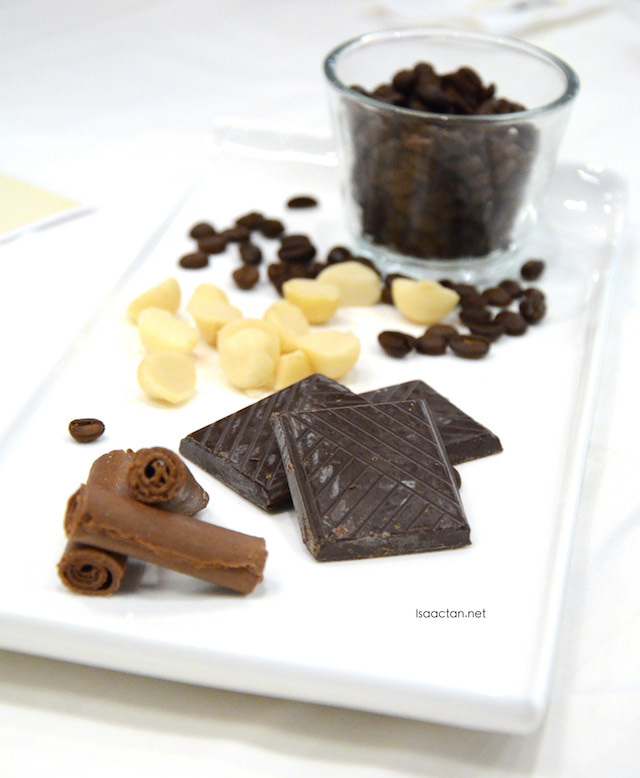 What you get is a cup of richly aromatic blend of Macadamia Nut ice cream and premium illy® coffee for true indulgence. 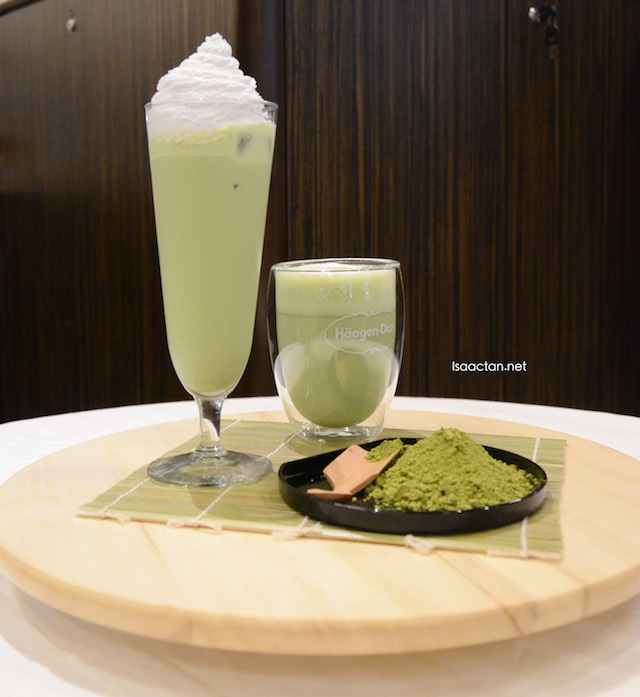 If you are those that simple must have green tea in your dessert, and drinks daily, then this latte is for you. The Haagen Dazs green tea flavoured latte is a delightfully fragrant latte crafted from Japanese matcha Green Tea ice cream. Personally I'm not so much a green tea person, and would go for macadamia nuts in a heartbeat. Have fun with the blend of iconic Cookies & Vanilla Cream ice cream with premium illy coffee that creates the perfect cookie latte. 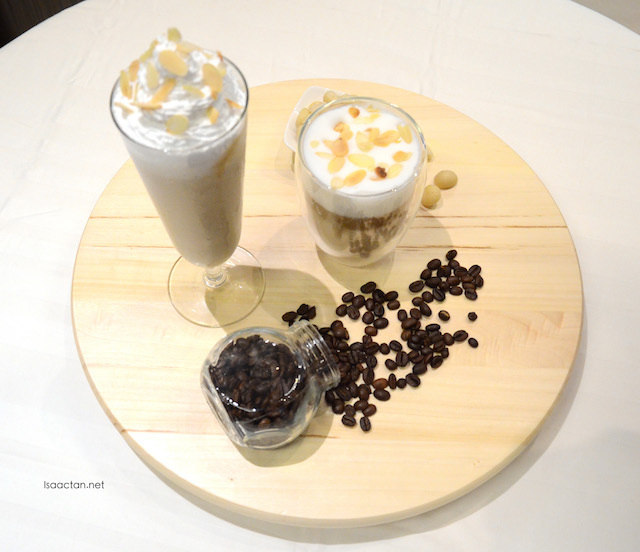 Love how the cookies make all that difference in the taste and flavour of this latte drink. I much prefer this hot than cold. Now here's an exceptionally elegant and smooth latte made from a blend of Madagascan Vanilla & Cream ice cream and premium illy coffee. You could literally feel its smoothness going down the throat with each sip of this latte. 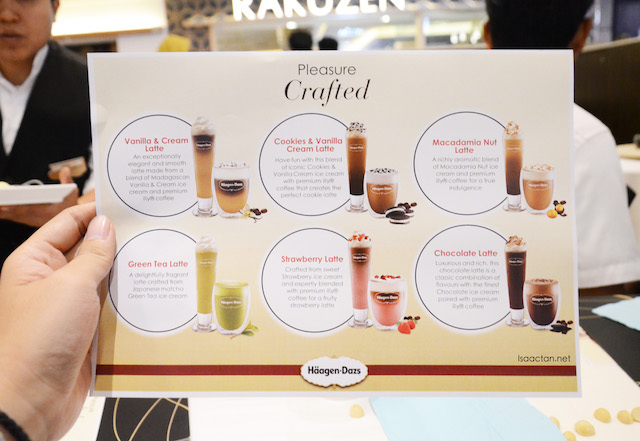 My second favourite flavoured latte offering from Haagen Dazs, after the macadamia nuts would be the Strawberry flavoured latte. Crafted from sweet Strawberry ice cream and expertly blended with premium illy coffee for a fruity strawberry latte, it was a delight to drink and enjoy. Classic flavoured, chocolate has to be everyone's favourite. Luxurious and rich, this chocolate latte is a classic combination of flavours with the finest Chocolate ice cream paired with premium illy coffee. Great to be taken cold or hot, this latte can do no wrong. 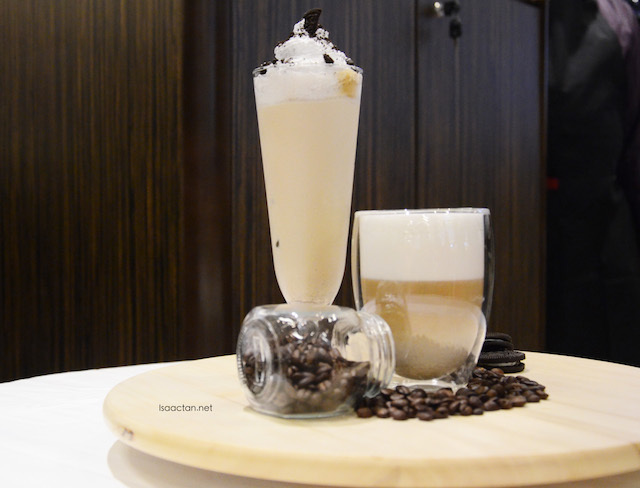 “These coffees have been specially crafted by our baristas who have placed great emphasis on achieving the perfect blend of coffee and ice cream. 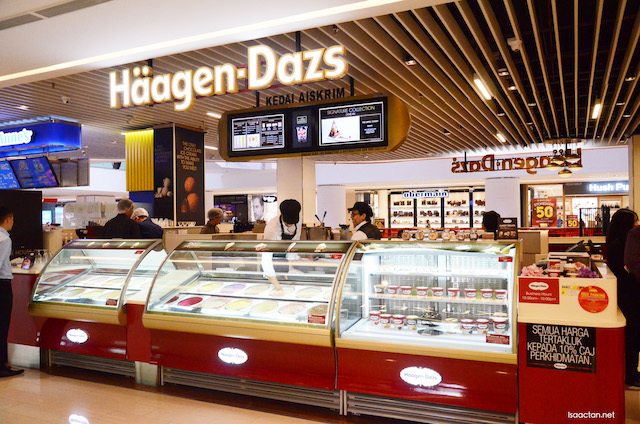 We believe that the pairing of illy coffee and Häagen-Dazs ice-cream will be a great draw to anyone seeking a new taste experience.” Ethan Lim added. I'd stick to their ice cream, not into lattes. 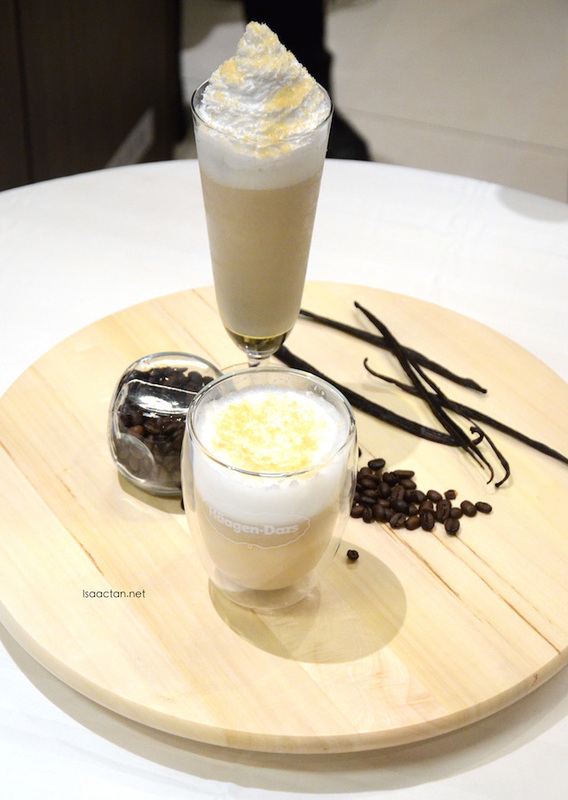 Ice cream in latte; sounds just so good for me! Yums! wow yummy ice cream. Frankly I haven't try this brand ice cream before lol. Always make me salivating at the pictures. everything looks so amazing! shall try Cookies and Vanilla Cream flavoured latte when i get the chance. Love Haagen Daz' ! The new menu looks awesome! Coffee and ice cream are my favourite but i miss it that day. I want to try the Strawberry flavoured latte. haagen dazs is just an amazing treat and ice cream for the whole fam. glad one opened up near my house. Haagen Dazs yum! All this while I just love love love their ice cream but now latte? Gotta try them soon!